A myHT Fortress: Glee: Good, Gracious, or Ghastly? The theme is a common one from literature and television: take a rag-tag bunch of misfits, bring them together, and when working together, the greatest of odds can be overcome. 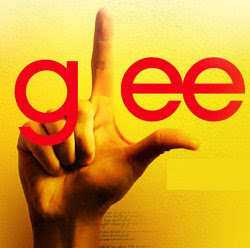 This is at the heart of Glee, running its first season on Fox, Wednesdays at 9 PM EST. There are a number of roles and situations on Glee that the Christian would find troubling. Of course, every human is sinful, and we will not look at every single character. Still, it’s a good thing to look at a few examples. Kurt Hummel is a sweet boy. He is a loyal friend. He has a good voice. He loves fashion. And he has a bit of a crush on star quarterback Finn Hudson. Yes, Kurt is a stereotypical, flamboyant homosexual. Sue Sylvester is downright mean. This cheerleading coach is the embodiment of evil, cunningly cutting down kids’ egos, manipulating and destroying what she sees fit, literally pushing people down stairs, and trying to sabotage the Glee Club. Noah "Puck" Puckerman has fathered the pre-born child of Quinn Fabray, cheerleader and president of the celibacy club. Quinn is also the girlfriend of Finn Hudson, and has convinced him that although they have not had sexual relations, he is the father. But perhaps the most disturbing scenario of the entire series (and yet the one we are drawn to accept and enjoy) is the relationship of Will Schuester and Emma Pilsbury. Will and Emma were high school friends at the same school where he now teaches and she is guidance counselor. Will is now in a very unhappy marriage, in which his wife, Terri, is completely self-absorbed—to the point it is plainly idolatry. She shows no care or concern for him, is extremely demanding and manipulative, and has led them to the brink of financial ruin. Viewers are not supposed to like Terri at all. Conversely, Emma is quirky, but as nice and sweet as can be, and you end up wanting Will and Emma to get together! Will and Emma both show care for people, and put others ahead of themselves. Those of us who are committed to what the Lord teaches about the sanctity of Holy Marriage can be easily led down this (albeit fictitious) path of approving their repressed romance. Granted, Will and Emma have not gotten to the point of sexual infidelity – or have they? Tension-filled hugs and staring into one another’s eyes might not be “going all the way,” but there certainly is desire that transgresses the 6th commandment. On the other hand, in spite of all these troubles, is there anything worth noting? I would suggest there is. Glee shows forgiveness. Yes, I realize it is not flowing from Christ through His Gifts, but the Glee students, along with Will and his friends, demonstrate a human forgiveness and an allowing of new beginnings for each other. Quinn is shunned by her cheerleader “friends” when they discover she is pregnant. She is also kicked off the squad. But the Glee friends voice their care for her. And when Finn has been pressured by the football team to back off from Glee and even torment them, Kurt takes a slushy out of Finn’s hand and tosses it on himself. Kurt “took one for the [Glee] team,” so the quarterback did not have the guilt of doing this to a friend, yet he could maintain a “cool” reputation on the football team. When all is said and done, Finn is welcomed back to Glee. So where does that leave you, the Christian viewer? How should you feel about Glee? I propose that the answer is similar to how you should feel about the people in your real life – the students and faculty of your own school, the friends in your own circles, even the people in the pews of your church. Every one of us is a poor, miserable sinner. This does not excuse our actions or words or thoughts in the least. However, we live in a recognition that in faith we will not approve of every behavior, every day. Yes, Glee has some sinful characters and sinful scenarios. Still, there are moments of (humanly speaking) goodness, kindness, and friendship. Being familiar with a show like Glee that so many are watching, may provide opportunities for you to engage in discussions that would otherwise be unavailable. Perhaps the Lord might end up using you to be His witness, speaking the truth in love. He may lead you to show what was good and supportive of the faith in a given episode, and what was not. In the end, you already know the one and only Source of your Glee: Jesus Christ! Our Savior has taken on human flesh and was born, announced with the Glee of singing angels. At His Baptism, the Father announced from heaven His Glee in His Son, in whom He is well pleased. With Jesus’ triumph on the cross and His joyous resurrection, God demonstrated His Glee once again, in the ultimate, first Easter. Jesus is the greatest, truest, and everlasting Glee for His Church! Living in Him, we await the Day when our Glee will be complete, and He gathers us all into the eternal kingdom He has GIVEN.